Whether you’re a beginning or an experienced gardener, you’ll appreciate the step-by-step instructions for planting, landscaping, and managing your own prairie plot. 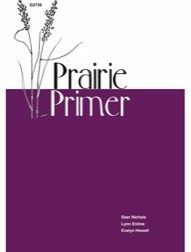 The Prairie Primer has more than 50 illustrated descriptions of grasses, wildflowers, and shrubs help you select the best plants for specific sites. Gardeners and prairie enthusiasts alike will find the spiral-bound book convenient to use in the field.